You don’t need to adorn your garden with grand and expensive landscape art. Imagine yourself relaxing in your outdoor living area, admiring your green plants and lawn, and listening to the soothing sound of trickling water. Peaceful, right? That is one of the reasons why a lot of homeowners dream of having outdoor water features in their garden. Hearing and seeing water flow for some time aids in relaxation. A water feature enhances the appearance of their landscape, purifies air, and reduces noise pollution too. If you count all of these benefits, you’ll understand why these are the most desired landscape feature. When you see a water feature, you can’t help but want it. Incorporating it into your landscape may look easy, but in reality, it is tricky. You must consider factors like proportion, position, purpose, and style. These four factors ensure that you have a well-designed landscape. You must install and maintain your outdoor features properly too. A leaky one will blow your water bills and will cost a few hundred dollars to fix. 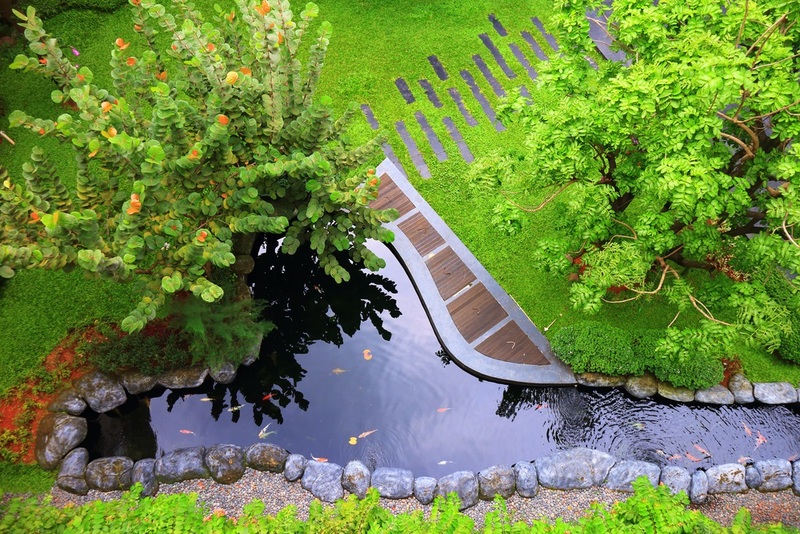 When you invest in a landscape with an outdoor water feature, we recommend that you work with a landscape architect. With the guidance and help of a professional, you can achieve a great outdoor space and garden without splurging on the water feature. You will realise that a simple yet well-positioned piece is as powerful as an elegant structure. Location is everything. 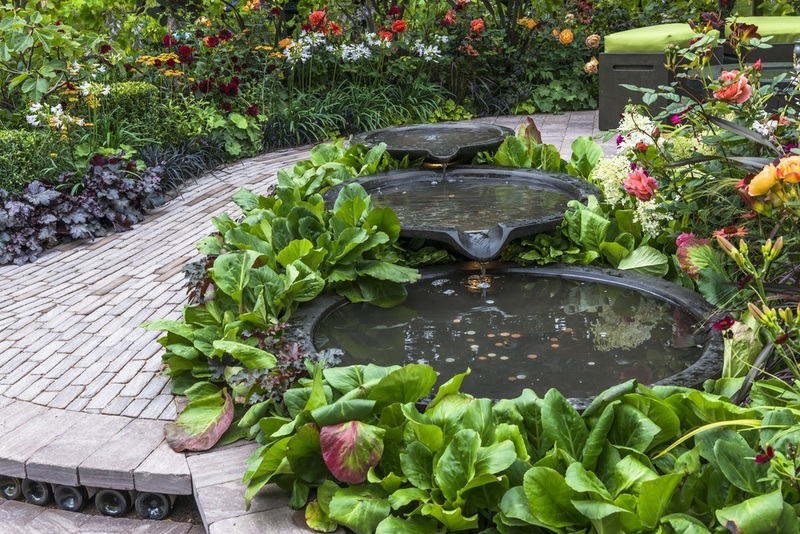 Pick a spot in the garden where you (and others) can appreciate the water feature every day. You can put it near your home’s entry or along a paved walkway. Do not put a water feature in a dead spot in your garden. You will not maximise the piece this way. When wrongly placed, it becomes a waste of money. Once you know the laws and where to put your water feature, it’s time to decide which water feature to have. The best part? You can build something out of recycled materials or buy yourself a beautiful, DIY-friendly water feature from the store. Decorate your outdoor water feature to make it more attractive. Use pebbles, coloured rocks, stacked stones, accent lighting, plants, and flowers to make an impact. 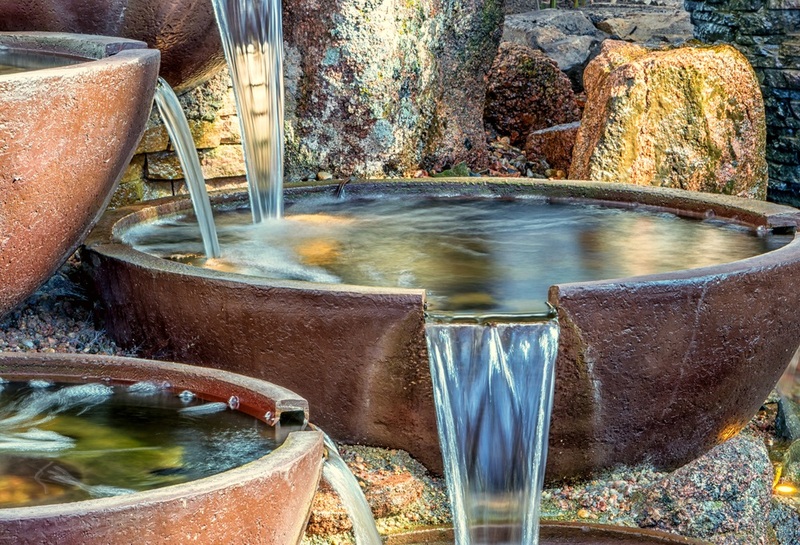 These things will keep your water feature mesmerising from day to night. Proper and regular maintenance is the key to keep your outer water feature in shape for a long time. Make time for it every week. In pursuit of a low maintenance landscape, you should consider installing an automatic refill device to help maintain water levels. Place a biofilter to keep the water clean and wriggler-free at all times.